Sometimes you have to look backward to get excited about something in the future. 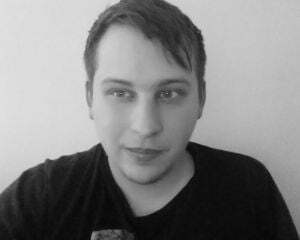 Brazilian developer JoyMasher hopes you're willing to do that for Blazing Chrome. After spending half an hour with the game, I'd say anyone who pines for those old-school run-and-guns should bother getting excited for this. Nostalgia is a hell of a drug, and its wonders work a couple of different ways. The most-realized effect is that people put on rose-tinted glasses for the comforts of their youth; years later, sometimes it holds up and sometimes it doesn't. But, a byproduct of nostalgia is that it can inspire creators to, in essence, recreate what they hold dear. When this is well-executed, we get something that hearkens back to those fondly-remembered days because the creators understand it just as well as we do. I can't pretend to know JoyMasher's past, but it seems to have involved a lot of Contra and Metal Slug. That's because there's no way Blazing Chrome would feel like such a great retro run-and-gunner if the developer didn't intimately understand and love the source material. Like most (if not all) of these games, Blazing Chrome's plot is sparse but what's there is ridiculous. Machines have taken over the earth everything has turned into an apocalyptic wasteland. Resistance fighters Mavra and Doyle look to score a victory for mankind by shooting everything until the humans win. Also, Doyle is a robot with a red mohawk. Listen, it would've worked by '90s logic and that's all that matters here. 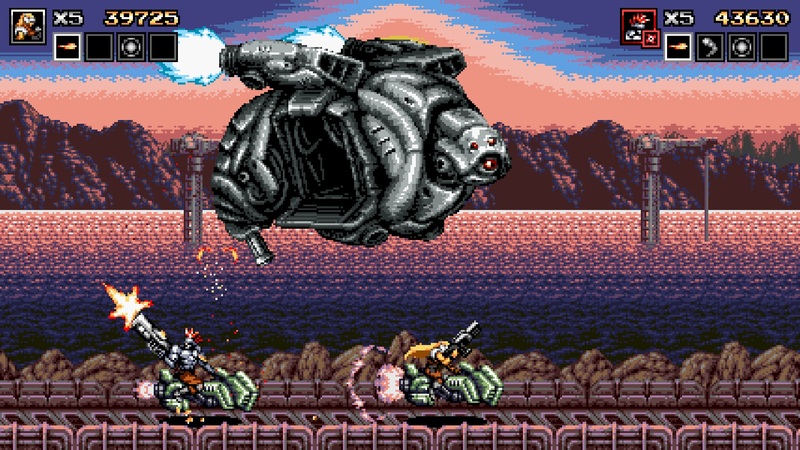 Of all the inspirations it draws from, Contra: Hard Corps might be Blazing Chrome's closest analog. Aside from the obvious aesthetic and thematic similarities, both games use a system for toggling between power-ups that proves mighty useful in shooters like these. All the weapons have unique patterns and functions that are beneficial in different ways. For instance, a boss' movement patterns might favor a gun that sprays like a sine wave rather than the standard straight-shooting gun. But, you have to stay alive or else it goes away. That's part of the difficulty curve of these retro-like games. Other than the switchable weapons, Blazing Chrome doesn't do much to separate itself from most of those games from the '80s and '90s. It doesn't want to. It's just a lot of jumping, dodging, climbing, and eight-direction shooting. Blazing Chrome feels just like all those old arcade games and that's possibly the highest compliment it could ask for. In the way of details, there's still a lot to be determined about Blazing Chrome. It's definitely coming to PC, but consoles are a question mark. (Well, it's probably releasing on some consoles, but which ones are up in the air.) Also, there will be local co-op, but we're unsure if there will be online play too. Finally, we don't have much regarding a release date, but it seems as if a 2018 launch is likely.